How often do we hear or see the phrase, "scientology protests pictures", or sues someone for some alleged copyright infringement? Freedom for man does not mean freedom to injure man. Freedom of speech does not mean freedom to harm by lies. - SCIENTOLOGY: A NEW SLANT ON LIFE L. Ron Hubbard. No church, group, organisation or business has the right to suppress the application or practice of ones chosen religion or philosophy. That right is guaranteed in most countries in the western world and many others outside of it. Despite this, the current church philosophy appears to be one of using the trademark and copyright acts, not as a means of protecting the religious interests but, if one reads the 'cease and desists' letters issued from their legal representatives, a protection of pecuniary and financial interest, not philosophical. in fact the legislation relating to copyright and trademark laws were designed for the protection of financial and intellectual interests of businesses, not charitable organizations such as churches. Many frivolous, SLAPP suits and harassment techniques appear to be used as a method of suppressing the knowledge and inhibiting the application of the technology. They have also altered the word 'squirrel'. Originally defined by Hubbard in the Policy Letter, 'Keeping Scientology Working,' as, "someone who alters the technology or practices 'off-beat' practices", and now apply that in a indiscriminate blanket label applied to all those who practice outside of or without the official sanction of the church warranted or not to all those who dare to use their chosen religion. Also using the threat of a perceived loss of future freedom as a spiritual being if one does not comply. Of course the fact that the being is immortal anyway seems to have completely escaped them. 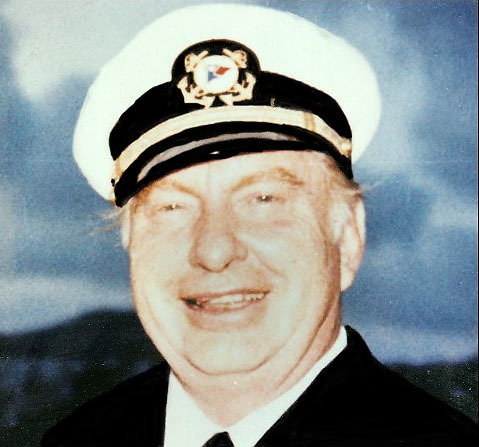 The Religious Technology Center, under the auspices of the CST, holds a license on the copyright on certain words relating to the writings of L. Ron Hubbard. The CST owns the copyrights and licenses them to the RTC who grant the Church of Scientology(tm) permission to use them, and could remove them at any time. The Church does not own any copyrights actually. It has recently been discovered also that some of these copyrights are actually running out. And are not being renewed. This does not mean one cannot use those words. It means that one cannot pretend to own the copyright on them, or use them to allude that one is the copyright owner and able to enjoy the benefits bestowed upon the copyright owner. Also one cannot use them to make money or include them in a business name in which one expects to make money. The concern now seems to be for the loss of the monetary value of the technology available outside the church. In fact the church, it appears, has over the past few years, taken to 'begging' for money to purchase and or construct more buildings and enhance their real estate. But this does not mean you cannot say or write the word scientology or any of the other words the church has 'copyrighted' In normal conversation and writing. The truth is that the Church does NOT have a monopoly on the spiritual freedom of the individual. They were originally vested with the guardianship of the technology but this responsibility has, it seems, regretfully fallen by the wayside. It is now up to us to take on this responsibility and walk in the boots Ron has bestowed upon us. The copyright and trademark laws were put in place to protect the commercial interests of businesses, not to make a monopoly of spiritual salvation. Indeed, the question has now been raised, "Are the words, "Scientology", "Hubbard", L.Ron Hubbard", actually copyrightable? Scientology is a descriptive word designating a religion (The Church has been quick to stoutly maintain its religious status legally and when it comes to tax matters)and Hubbard, of course, is an individual. Look in the phone book and you will fund hundreds, if not thousands, of Hubbards. If I changed my name to Hubbard by Deed Poll, would I be subject to the copyright laws also here? Freedom of religion and belief is a guarantee by a government for freedom of belief for individuals and freedom of worship for individuals and groups. It is considered by many to be a fundamental human right. Freedom of religion must also include the freedom to practice no religion (irreligion) or the belief that there exists no deity (atheism). The Universal Declaration of Human Rights adopted by the 58 Member States of the United Nations General Assembly on December 10, 1948, at the Palais de Chaillot in Paris, France defines freedom of religion and belief as follows: "Everyone has the right to freedom of thought, conscience and religion; this right includes freedom to change his religion or belief, and freedom, either alone or in community with others and in public or private, to manifest his religion or belief in teaching, practice, worship, and observance." Freedom of religion as a legal concept is related to but not identical with religious toleration, separation of church and state, or laicite (a secular state). In International law the freedom of religion and belief is protected by the International Covenant on Civil and Political Rights (ICCPR). This protection extends to those professing belief in no religion which includes humanist, atheist, rationalist, and agnostic beliefs. So when you see such phrases as "scientology protests pictures, be aware that it is highly likely that the church is embarking on a totally different agenda to that visualized by the Founder L. Ron Hubbard and it comes as no surprise that almost all of the original scientologists who were 'with Ron' in the beginning have all either left or been booted out making the church also one of the biggest ex communicators of all time. Further information on this is available at: Saint Hill Declares.